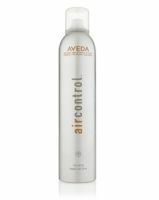 I recently got this hair spray for my husband and I and we both love it, it has a long lasting hold. The scent isn't bad either for hair spray. I really like this hair spray. I have pretty thick hair and I've found that this really does a good job of holding my hair in place without making it feel sticky and it doesn't give you that helmet head look either. The scent isn't terribly overpowering like someother hairsprays I've used in the past but it does have a strong scent to it. I only use this once in a great while so the can that I...read more have has lasted for a long time. This was a product recommended to me and I would honestly recommend it to others as well. Smells good. Exceptional hold without the "helmet head" look. Would and have recommended.